Seattle Mind Camp 6.0 is coming up fast. For those of you who aren't sure what to expect, this guide will hopefully give you a bit of an orientation. Even you Mind Camp veterans might want to look over the details, here, as a few things have changed this time around: When should I arrive? The doors will open at 10:00 a.m. on Saturday, November 21. Opening remarks and introductions will start promptly at 12:00, so please arrive in time to check in, mingle, check out the session candidates along the walls. Note that if you're hoping to present a session, you should arrive a few minutes before 10:00 to post your Session Organizer Candidate Form.) How do I get there? 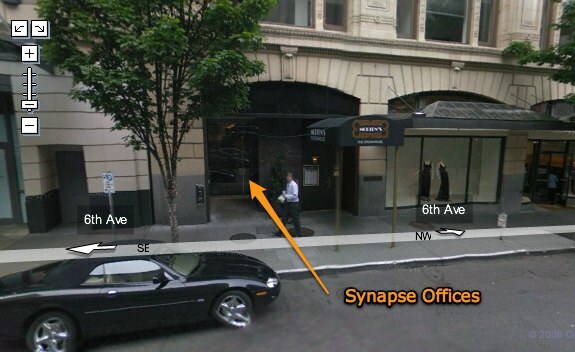 You're going to the offices of Synapse in downtown Seattle. The address is 1511 6th Ave, Seattle, 98101. Where do I park? There is no dedicated parking lot for the building, so you'll have to find street parking, or park in one of the many parking garages around the building. However, that can get expensive if you are riding alone, so we would recommend carpooling and splitting parking fees if you want to drive down. If not, it may actually be cheaper for you to take a cab to and from the event rather than parking in a garage. There are also a bunch of bus lines that stop at Westlake Center, just two blocks from where Mind Camp will be held. What will the introductions be like? We are working on this - and it will be fun. The aim is for everyone to have a chance to say something, and for these introductions to start priming the pump for later discussions. What else should I expect? How do I participate? You are expected to participate in some fashion, so come ready to share the things you've been working on or that get you excited. Do note that Mind Camp is an NDA-free zone, so if you can't talk about it, don't bring it up. See Getting Ready for Mind Camp - The Philosophical Guide for an explanation of the unconference concept. What will be provided? Room space, coffee, lunch, Wi-Fi, power outlets. A few rooms have LCD flat-panel monitors in them, which can be used in lieu of projectors. If you need or want anything more that what is provided, then you'll have to bring it with you. There will be a two-hour break you to grab dinner somewhere in the area. There are a bunch of choices. What to bring It's up to you, of course, but if you plan to stay overnight, you might want to gear up. Comfortable clothing will be helpful. Aside from the items mentioned above, don't assume anything will be there. Bring what you need, especially for your presentations. Bring a sleeping bag, pillow, toothbrush, ear plugs, sleeping mask, teddy bear… that sort of thing. Bring snacks and drinks; we'll be providing lunch and dinner on Saturday and breakfast on Sunday, but we encourage people to bring stuff to share. We will have coolers available. Bring your own power strips and extension cords. Bring any electronic stuff you have to swap or give away. Bring your gaming gear, portable or otherwise. Will there be Wi-Fi? Yes! What will the rooms be like? Three conference room sized rooms, plus two other areas set up for sessions. There is also a kitchen/dining area, and a common area which we can use to suit our needs on the fly. Who can I ask if I have questions? 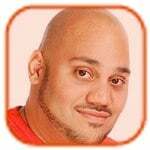 We'll identify the organizers and Camp Counselors, who are there to make sure you have a great experience. What about alcohol? We have agreed with our hosts, Synapse, that there will be no alcohol allowed on premises. Please respect that decision. In addition, if you go out for drinks and get smashed, you won't be let back in. Do I have to stay overnight? No. Mind Camp is your event, and you can make of it what you will - but you'll miss out on some very interesting things if you decided to leave! Can we take pictures? Can we record audio and video? Unless you are specifically asked not to do so by another attendee, please feel free to document as much of the event as you can. We'd love to feature your videos on the Seattle Mind Camp YouTube channel.